This programme provides health and social care staff with an introduction to the Sexual Orientation Monitoring Information Standard. The programme sets out why the Standard was introduced in adult health and social care services, explains some of the health inequalities experienced by lesbian, gay and bisexual (LGB) communities and explores the benefits of monitoring. The first principle of the NHS Constitution is the commitment to a comprehensive health and social care service, available to all irrespective of personal background. However, research highlights that lesbian, gay and bisexual (LGB) people are more likely to experience health inequalities compared to heterosexual people, such as being at higher risk of poor mental health, or missing out on routine health screening. 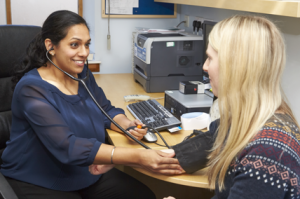 By recognising that every patient has different needs and circumstances, people working in health and social care services can deliver a personal form of care, which recognises diversity, improves outcomes, and addresses health inequalities. Wider patterns or inequalities can also be identified. The Sexual Orientation Monitoring Information Standard will enable health and social care organisations to monitor in a way that is consistent across the adult health and social care system. Particular thanks go to the members of the Sexual Orientation Monitoring Information Standard Task and Finish group and everyone who provided input into this e-learning module. If you already have an account with e-LfH, then you can enrol on to the Sexual Orientation Monitoring Information Standard programme by logging in to the e-LfH Hub, selecting My Account > Enrolment and selecting the programme. You can then access the programme immediately in the My e-Learning section. The Sexual Orientation Monitoring Information Standard programme is also available to NHS healthcare staff via the Electronic Staff Record (ESR). Accessing this e-Learning via ESR means that your completions will transfer with you throughout your NHS career.